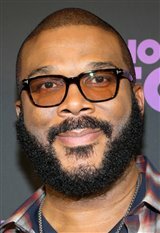 A native of New Orleans, Tyler Perry had a rough childhood, due to constant abuse from his father. As a young adult, feeling dejected and rejected, he wrote a series of letters to himself in an attempt to find catharses for his childhood pain. The letters evolved into a musical, which Perry called I Know I've Been Changed, about adult survivors of child abuse. Realizing that he might have the solution to his problems in his script, he saved twelve thousand dollars and moved to Atlanta, where he rented a theater for a weekend and starred in the production. Although only 30 tickets were sold, one of the audience members wanted to invest in the show. However, it took more than money to make a show successful and Perry found himself broke, starving and living on the streets on several occasions over the next six years. In the summer of 1998, he decided to try mounting his production one last time at the House of Blues. Miraculously, the show sold out eight times over, then moved to a bigger theater for two additional shows and sold 9,000 more seats before going on to tour major cities. Having achieved financial and critical success, Perry was asked to help with a play called Woman, Thou Art Loosed. He rewrote, produced and directed the show, which opened in 1999 to enormous success, grossing over $5 million in just five months. Perry's next show, I Can Do Bad All By Myself, opened in 2000 to rave reviews and sold out houses in New York, Chicago, D.C., Memphis, New Orleans, and Atlanta. In 2001, Perry was nominated for the Helen Hayes Award for Outstanding Lead Actor for his role as an outspoken, gun-wielding grandmother called Madea. Later that year, he was nominated for four NAACP Theatre Awards for his production Behind Closed Doors, another huge success. Tyler's fifth touring project, Diary of a Mad Black Woman, opened to a full house in New Orleans in January 2001. He reprised the character of Madea in the 2002 production, Madea's Family Reunion. Meanwhile, Perry had caught the eye of Hollywood and was asked to bring Diary of a Mad Black Woman (2005) to the big screen. It was a surprise hit, coming out of nowhere to land in the coveted top spot at the nation's weekend box office and going on to gross over five times its initial budget. Perry wrote the screenplay and played three roles: Madea, Brian and Joe. For his next major motion picture, Madea's Family Reunion (2006), Perry made his feature film directing debut, as well as writing the screenplay and again starring as Madea. Perry continues to write plays that tour successfully (as of March 2005, his plays had grossed over $75 million in tickets and DVD sales) as he concentrates on his film and television work, including Madea's Christmas Play (2004), which he wrote and produced for Trinity Broadcasting Network, and the big screen releases Madea's Big Happy Family (2011) and Madea's Witness Protection (2012). In 2014, he starred in Tyler Perry's The Single Moms Club and Gone Girl . In 2016 he appeared in Teenage Mutant Ninja Turtles: Out of the Shadows , Brain on Fire and Tyler Perry's Boo! A Madea Halloween . Tyler also wrote and directed Tyler Perry's BOO! A Madea Halloween 1 and 2. He also lent his voice to the animated film The Star (2017) and most recently, directed the comedy Nobody's Fool (2018), starring Tiffany Haddish. In his spare time, Perry relaxes at his 12-acre estate outside Atlanta. Bio photo by Aaron Davidson/Getty Images for Paramount Pictures. New movies in theaters - A Madea Family Funeral and more!